These amazing kits have all you need to grow your own tea plant at home. Harvest and dry the leaves for the ultimate in home grown tea. Whether a keen gardener or someone who enjoys herbal tea, there’s nothing more satisfying than growing your own chamomile flowers and drinking some tea you’ve brewed at home. 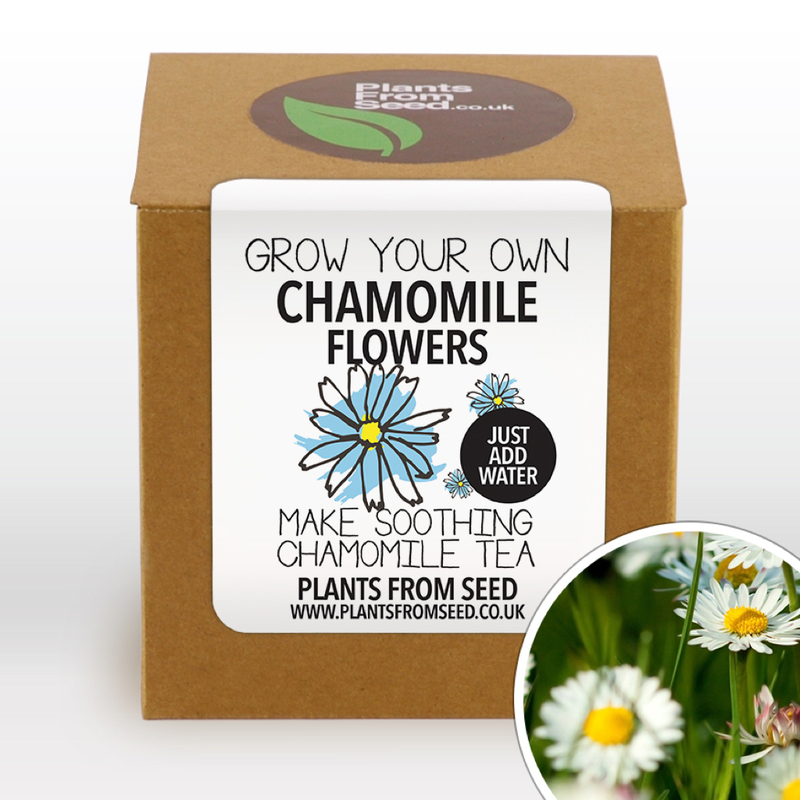 Our Grow your own tea kit has been specifically designed to the highest quality. A greenhouse, conservatory or even a sunny window are all adequate to grow this amazing plant. Inside the Tea Plant Kit are two large terracotta coloured small plant pots (one 9cm tall, the other 6cm tall), one saucer (9cm in diameter), two professional grow pelles, two plant pot tays, two wooden label sticks and your tea plant seeds. An instruction sheet is also included on how to grow and take care of your new arrival.Perfect as a Secret Santa, stocking filler or small gift.